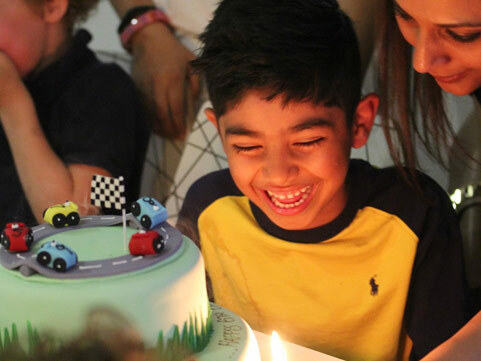 Race Party is the perfect venue for every occasion, catering parties and events for Kids & Teenage parties including Casual, Social and Corporate occasions. To book select a package below or call us on 03 9882 1391 for your next event or party. Enjoy 60 minutes of track time with your own music selection. Race in a range of events with a dedicated race host commentating for up to 24 guests. 30 minutes of post race food and beverages in the adjoining lounge. Use of the Race Party photo booth for dress-ups, photo taking and sharing. Event invitation PDF for printing, Access to the racing lounge for canapes and beverage refreshments, including: Gourmet meat pies, cocktail spring rolls, selection of gourmet mini quiches, wedges, lemonade and water. 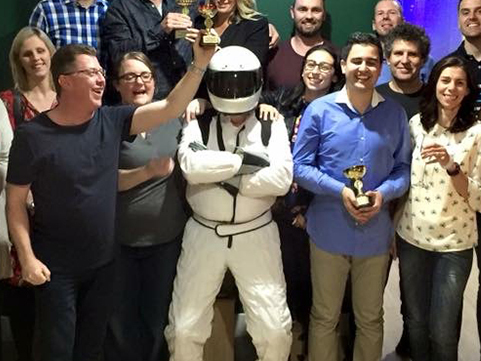 Take your next celebration to the dance floor with a Disco Racing event at Race Party. 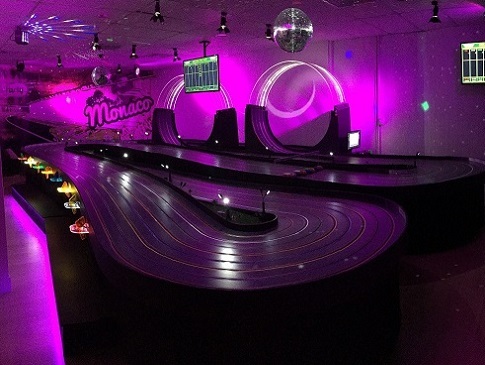 Our Monaco track room transforms into full party mode with the greatest party anthems pumping and lighting effects such Mirror balls and disco lights. Take control of the music and choose your playlist from the greatest party anthems. Lighting effects such as mirror balls, strobes and disco lights. 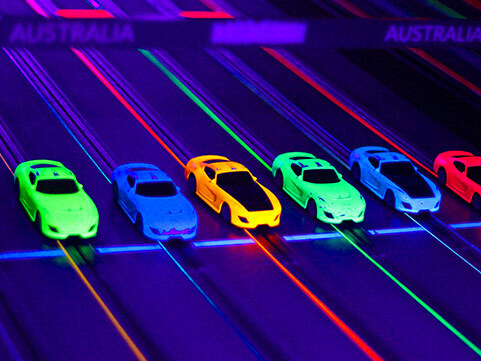 Race Party’s UV Racing mixes the fast paced action and excitement of slot car racing with glow in the dark lighting and visual effects. 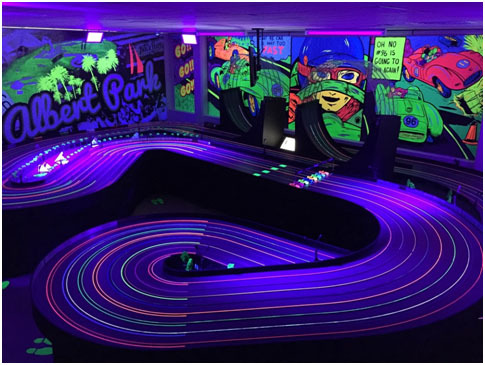 Complete with a high intensity soundtrack, feel the energy as you race around the neon coloured track with UV reactive cars, track and room art glowing under the ultra violet lights. 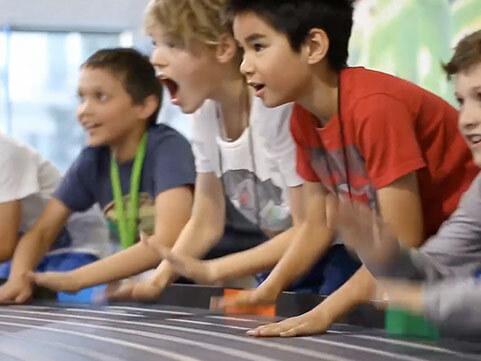 Complete with a high intensity soundtrack, feel the energy as you race around the neon coloured track with UV reactive cars, track and room art glowing under the ultra violet lights. Each guest receives a "Glow Band" to wear during the event. 90 minutes of racing in one of our two race track rooms including practice, knock out events and race series. Canapes in adjoining race lounge during break in racing sessions. A dedicated race crew member to run, coordinate and facilitate all of the action, all car and controller hire. 120 minutes of racing in one of our two race track rooms including practice, knock out events and race series. Canapes and beverages in adjoining race lounge on arrival, 150 minutes of racing in one of our two race track rooms including practice laps, preliminary race session, knock out events and final race series, A roving canapes service in adjoining race lounge during breaks in race sessions. 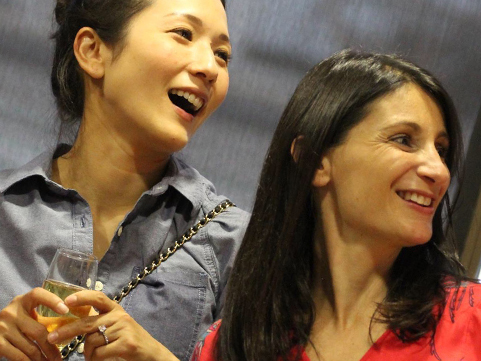 Beverage package including bottled beer, red, white and sparkling wine, soft drink and waters throughout the duration of the event. A dedicated race crew member to run, coordinate and facilitate all of the action, All car and controller hire, Exclusive use of the Race Party photo booth for you and your guests, Track theming with your company logo on corner signage. Children need to be at least 6 years of age to be a guest at a Race Party and 8 years of age for a UV or Disco Racing party.